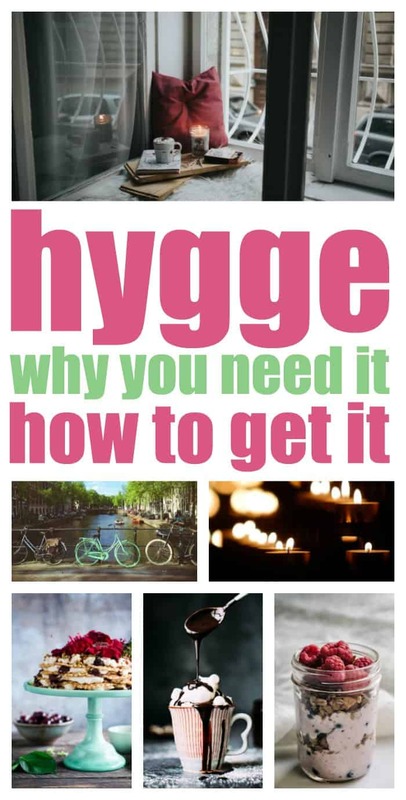 If you’ve spent any time on Pinterest lately, you’ll know ‘hygge’ is everywhere. 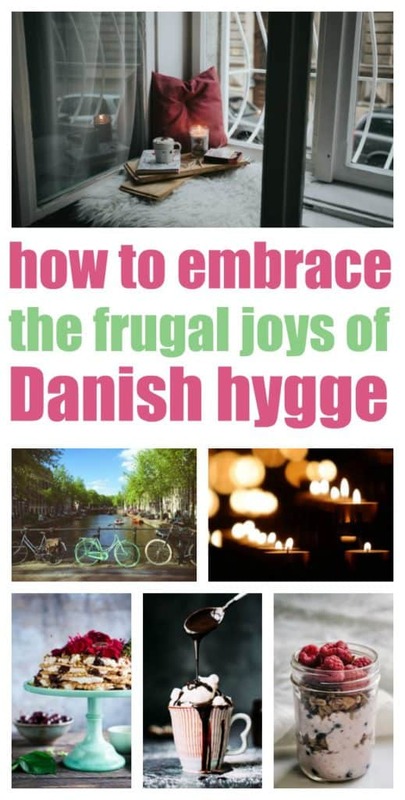 Hygge is a Danish word (pronounced ‘hooga’) and roughly translates to ‘cosiness’… and a whole lot more. Luckily for us, hygge is no longer just a Danish phenomenon, thanks in no small part to this book: The Little Book of Hygge: Danish Secrets to Happy Living by Meik Wiking. Create a relaxing hygge atmosphere by dimming the lights or lighting some candles. By reducing the intensity of the lighting you not only create a cosy ambience, you also allow your brain to switch to relaxation mode. 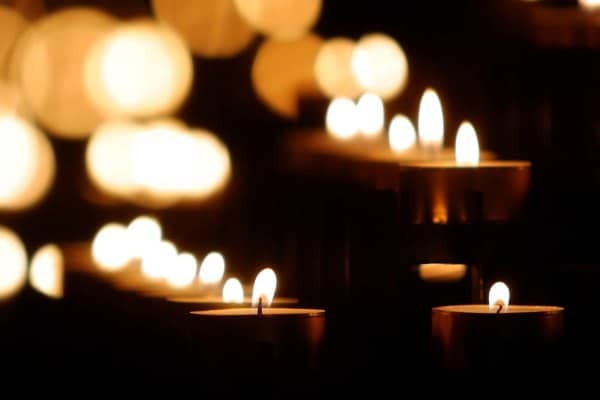 If you’re a bit cautious about using traditional candles, try flameless ones. When we think of hygge we immediately think of the Danish winter and hot drinks that warm you down to your toes. Imagine coming inside after spending time in the chilly air and wrapping your hands around a mug of hot chocolate or maybe some mulled wine. That feeling? That’s hygge. Of course, the warm weather version is sitting in the shade and enjoying a chilled glass of iced tea or freshly made lemonade. 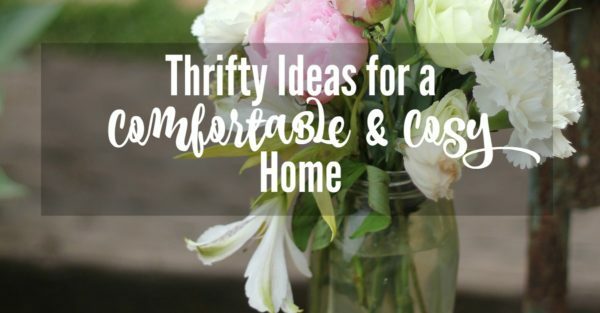 You don’t need to go overboard with this idea. Just create a space that suits your relaxation style. For me, that means a comfy chair, a foot stool, good light to read by, and a throw blanket in the cooler weather. Your hygge nook doesn’t even need to be inside. If the weather is good, create a space in the garden where you can either read, or sit and contemplate life while enjoying a refreshing drink. 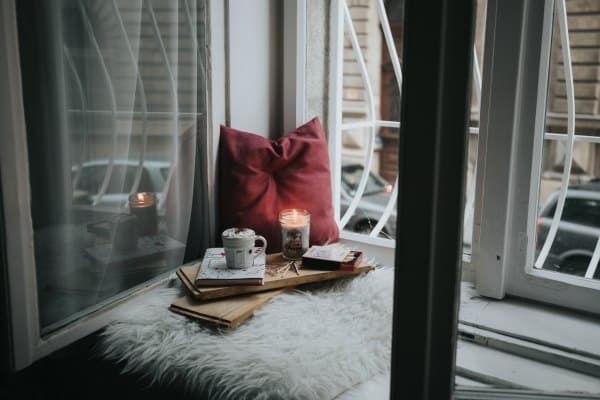 One of the simple, frugal joys embraced by hygge is taking time away from the digital world and getting cosy with a good book. Hygge is about family and friends but it’s about taking care of yourself, too. For some of us, that means taking time out to be on our own so we can restore our energy levels. Pulling on a pair of thick, knitted socks is the perfect way to signal to the world that you’re officially in relaxation mode. If you’re inclined to DIY, knit your own. Try these ‘toe up’ socks. There’s something very decadent about the aromas from a slow cooked meal. Even more delicious than the food, is knowing some of the best slow cooked meals are also the most frugal. And, what’s more comforting than nourishing food you know made the best use of your grocery dollars? And, don’t think your slow-cooker is only of value in the cooler weather, it can be a lifesaver when the weather is hot and steamy, too. Need some new ideas for your slow-cooker menu? Check out our Crockpot/Slow-cooker Recipe Board on Pinterest. Sharing home baked goodies says ‘cosy’ in the best frugal way. 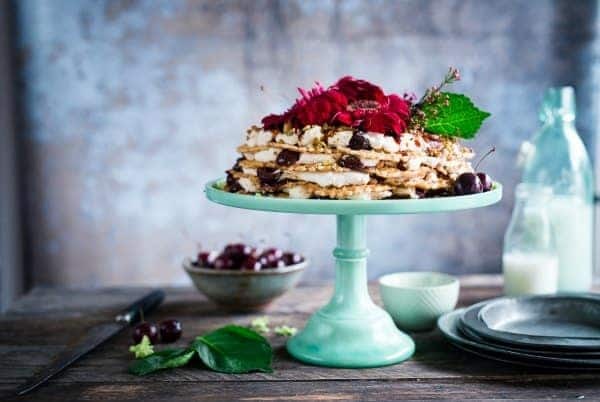 Spending a little time to bake a simple (or elaborate) cake to share with loved ones is one of life’s true frugal joys and an excellent way to create hygge at home. While you’re prepping that slow-cooker meal, why not double the batch and invite friends or family over for an informal dinner. You could even go old style and host a potluck dinner. An important part of hygge is taking the time for self-care. So, treat yourself to a DIY spa day every now and then. Allocate a chunk of time and use it to enjoy a relaxing bath (remember the bath salts!) or give yourself a pedicure. The key aspect of this is the importance of self-care so choose an activity that suits you best. There’s something very special about fairy lights. It might be because they have a fairy tale quality or it’s just that they remind us of the holidays. Whatever it is, it means they add cosy with the minimum of fuss and expense. Drag out the old Christmas lights and drape them around your bedroom. String them through the trees in your garden or over an arbour or pergola if you have them. Being in the elements is an important aspect of hyyge, too. It’s not all warm blankets and roaring fires. Hygge is also about slowing down and enjoying the simple things in life and one of the best, and most frugal ways, to do that is to take a walk outside. 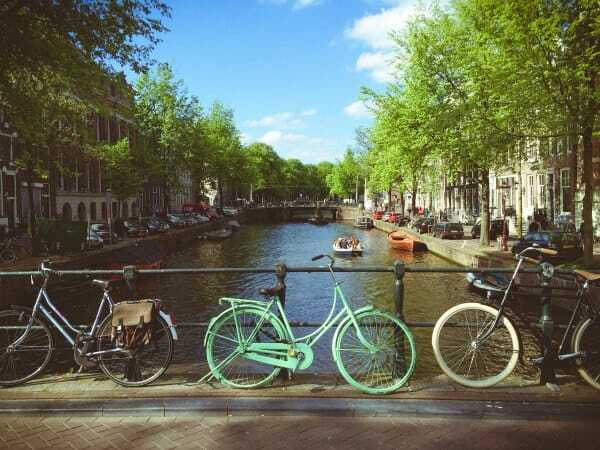 Or go for a bike ride. Even if you don’t have a park nearby, a stroll around your neighbourhood will do the job. Sure, you can go out and buy a heap of ‘hygge’ accessories to add to your home but the real frugal joys of hygge, like all the simple pleasures of life, are not bought, they’re made. For me, hygge is about connections. Connecting with your loved ones, your community, the seasons and yourself. And, building rituals around those connections to support them. None of these things requires a full wallet. Just the commitment to spend some of your precious time on the stuff that really matters. To you. Have you heard of hygge? What do you think: like it or think it’s over-hyped? Oh and, remember to check out our Hygge board on Pinterest and follow us on Facebook! My version of hygge is definitely a good book like you said along with a set of candles. If only I could be as relaxed when reading about my liberty tax. And I definitely don’t think hygge is over-hyped, it’s essential to a good life.